Sally works as a freelance consultant, educator/trainer, deliverer of corporate events, and drinks and food journalist specialising in wine. Rather than specialising in any one particular wine-producing region, she keeps a broad, international perspective to her work. 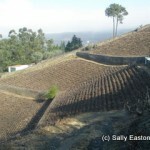 When it comes to wine Sally Easton is a proven Jill of all trades and master of two. She is part of an exclusive worldwide group of 353 people who have achieved Master of Wine (MW) status, in addition to which she has attained a masters degree in journalism. Her 20 years’ global experience in the wine industry enables her wide range of clients to call upon her expansive knowledge. Her business portfolio encompasses wine consultancy, corporate entertainment, education and judging on the national and international wine circuit. 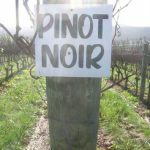 Additionally Sally is a regular contributor and columnist for leading consumer and trade magazines, and she frequently updates her own website with tasting notes and up-to-the-minute articles. 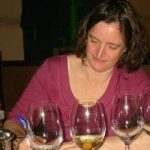 As a consultant to the hospitality and retail sectors Sally creates and manages unique wine menus, selecting innovative wines alongside great examples of the classics to fit the branding and aspirations of clients who are looking to impress their customers and improve wine sales. As well as sourcing great wine she also blends bespoke house wines. She ensures complete menu compatibility with her selections that will excite and entice customers. With a long history of buying wine for high street and traditional merchants, her commercial acumen and palate work in tandem with the aim of increasing profitability without loss of style and quality. Sally keeps her clients regularly informed of industry and market issues and she is also on hand to train and educate staff to serve and suggest appropriate wines. To find out how Sally can help you create the perfect wine list for your establishment and for any other consultancy enquiry, click here. Wine can make events memorable and Sally enjoys sharing her knowledge, enthusiasm and appreciation of wine at all levels. Whether you are looking to entertain VIP clients or create a fun team-building experience for your employees, Sally can develop a bespoke programme for you around wine. Her clients enjoy having their palates tantalised beyond their regular wine choices with fine wine tasting events and there is always fun to be had during one of her more informal wine quizzes. 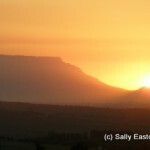 To find out how Sally can help create the perfect event for you click here. Sally is a certified educator of the Wine and Spirit Education Trust (WSET) and teaches to diploma level. She also provides personalised training programmes for corporate clients, the hospitality industry as well as enjoyable courses for anyone, trade or consumer, who just want to learn and appreciate wine more. To find out more about Sally’s teaching, arrange your own tuition or get product or skills training for your staff click here. 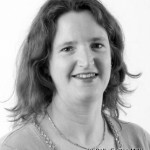 Sally is wine columnist for consumer magazines France Magazine (UK) and Winestate (Australia). As well as writing frequent unique content for her own website, she regularly contributes to industry publication Drinks Business, and regularly though less frequently to other trade and consumer titles. To read Sally’s work click here. To commission Sally click here. 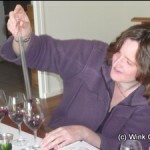 Sally is an experienced wine show judge on the national and international circuit.